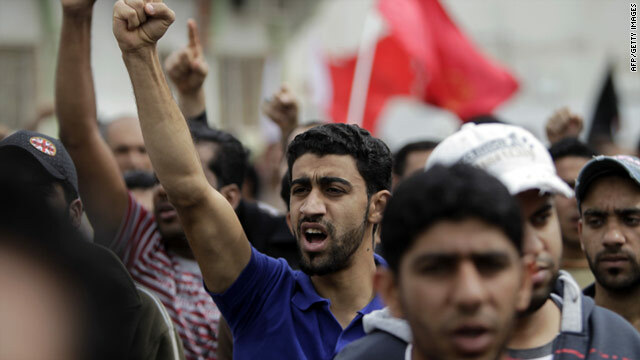 Bahraini Shiite men chant anti-government slogans in the Shiite town of Sitra on March 18. (CNN) -- All the doctors and medics who were detained during recent protests in Bahrain have been released on bail, the country's Information Affairs Authority said Thursday. Charges against the doctors include possession of unlicensed weapons, inciting the overthrow of the government, provoking sectarian hatred and forceful occupation of a public building, the Information Affairs Authority said. Prosecutors have alleged that, at the height of the protests earlier this this year, the accused refused to help patients at Salmaniya Medical Complex, the main hospital in the Bahraini capital, Manama. The trial against the doctors will resume September 29, authorities said. The move comes after reports that many of the detained doctors and activists had gone on hunger strikes. Rights groups were cautiously optimistic in lauding the release of the medics. In a statement, the Bahrain Center for Human Rights called the decision "good news," but stressed that there was "still concern for them as the charges have not been dropped." "This means they are still at high risk of being re-arrested at any time," the organization said. Human rights groups, including Human Rights Watch and Physicians for Human Rights, have disagreed with the charges against the doctors and say they believe Bahraini forces targeted the doctors because they treated protesters. Protests have lingered in Bahrain for months despite a crackdown by the kingdom's Sunni monarchy, backed by troops from Saudi Arabia and the United Arab Emirates. More than 30 people have been killed during the demonstrations, in which activists say Bahraini security forces used live ammunition against protesters. Opposition groups say more than 1,000 people -- mainly Shiites -- have been detained and more than 2,000 have lost their jobs for allegedly taking part in the protests.